Let’s give a cheer to federal officials for their decision to ban smoking in public housing, a move that affects 1.2 million households nationwide, and, notably, an estimated 760,000 children. The U.S. Department of Housing and Urban Development long had pressed for this public health measure but finally decided to put it in place next year, giving affected properties 18 months to finally put the new smoke-free rule in force. Similar bans, already voluntarily adopted and affecting 200,000 public housing residents, are enforced with warnings, fines, educational efforts, counseling, and even by providing smoking-cessation nicotine patches. Police won’t and don’t enforce public housing smoking bans, officials said. 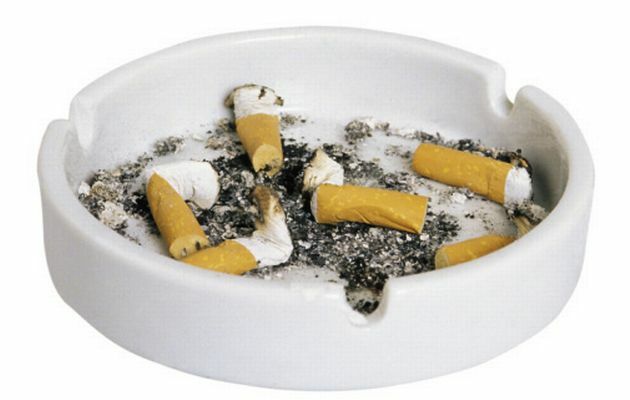 Residents won’t get evicted over their tobacco habits. Experts said that getting homes, especially in public facilities, to be smoke-free could be a boon to residents’ health, not only encouraging smokers to quit but also protecting residents from the harms of second-hand smoke. Such indirect exposure, the federal Centers for Disease Control and Prevention says, contributes “numerous health problems in infants and children, including more frequent and severe asthma attacks, respiratory infections, ear infections, and sudden infant death syndrome (SIDS).” The CDC attributes 2.5 million nonsmoking American adults’ deaths since 1964 (the year the Surgeon General released a report ripping smoking as a leading cause of death) to exposure to second-hand smoke. I’ve written how deadly smoking continues to be to Americans’ health, even though adult rates of the nasty habit are in steady decline. Smoking is a proven cause of an array of health harms, contributing to cause cancers and heart and lung disease. The CDC, in its most recent report, said that smoking remains a bigger problem among the less educated and poor. They also are more likely residents of public housing, and would benefit from all inducements to get them to quit puffing on cigarettes. The New York Times said the smoking ban will not come with any new or specific funding. Officials expect to save money because they won’t need to clean and repaint apartments after smokers empty them. Savings also will be realized from averted fire damage. Fire experts quoted by the Bulletin said that, in earlier times, patients smoked in their rooms and stashed burning cigarettes under their pillows. When hospital staffers changed linens, smoldering butts set hampers and sections of hospitals ablaze. No more. Not only are hospitals smoke free, they now must adhere to stringent fire safety laws and building codes. Major hospital fires occurred in 1929 in Cleveland, killing 125; in 1949, in the Downstate Illinois town of Effingham, killing 74; and in 1950, in Davenport, Iowa, killing 41.